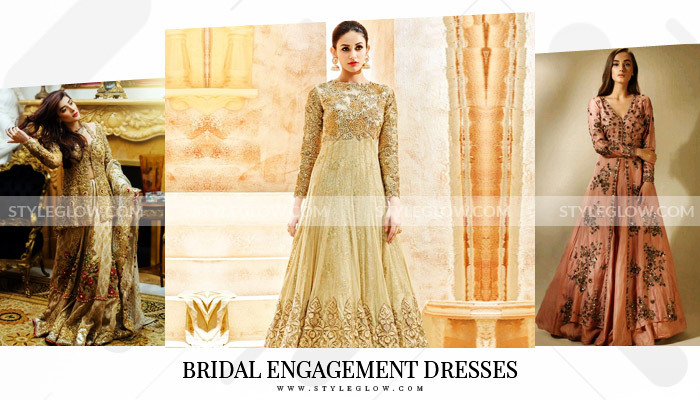 When it comes to engagement dresses, all the beautiful bridal engagement dresses 2019 in Pakistan are here to mesmerize your thoughts. Engagement is an event in which a relationship is created between the bride and the groom by exchanging rings. The grooms family puts a ring in brides hand and so do the brides family put in grooms hand. Some families go for a grand event while others go for a miniature one or even celebrate this function at home. The bride can wear any dress like Maxis, Lehenga, Gharara, long/short frock or any other dress on engagement and it is up to her that which color combination she wants to possess for her promising day. 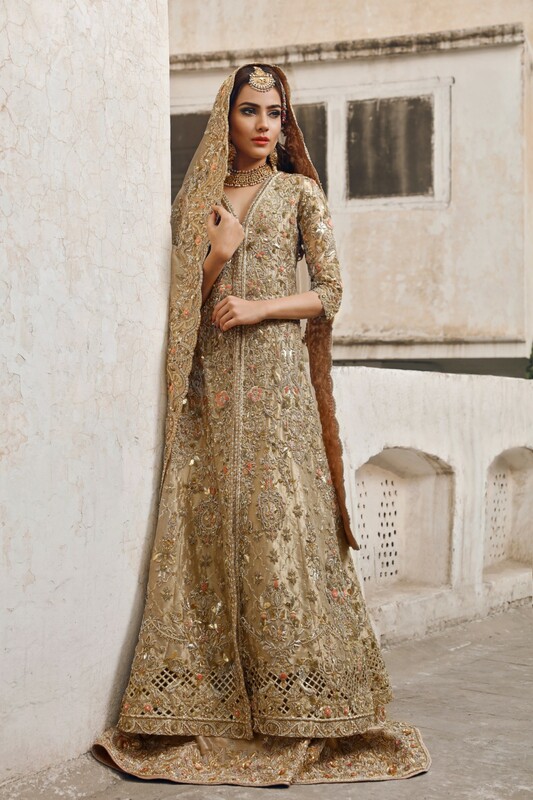 Bridal engagement dresses designs are not like wedding dresses it is lighter in embroidery because it’s considered as a pre-wedding ceremony and ladies choose outfits in hue color scheme especily in 2019. 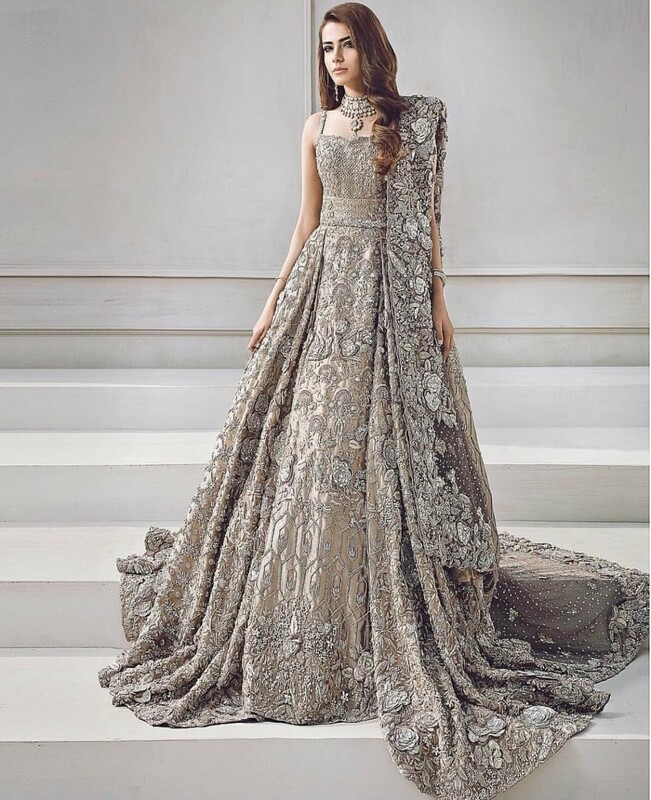 Usually, ladies tend to choose silver or even golden color dresses for their engagement day because they are mostly observed on certain occasions. It would be better for you to go for light kind of shades on your engagement ceremony because you surely will look more embellishing and novice. You can also choose from Bridal Walima Dresses because Walima dresses are mostly in the light shades and women opt these shades for their formal parties either. The best way to add beauty to your look is by adoring a bridal makeup style and by making your dress stitched with Tilla and dabka at least. Having a lighter and fancier touch will do the trick for you on your big day. Adding some bridal jewelry sets with your dress will be a plus and wearing a long frock will make you a primal focal point of fascination. 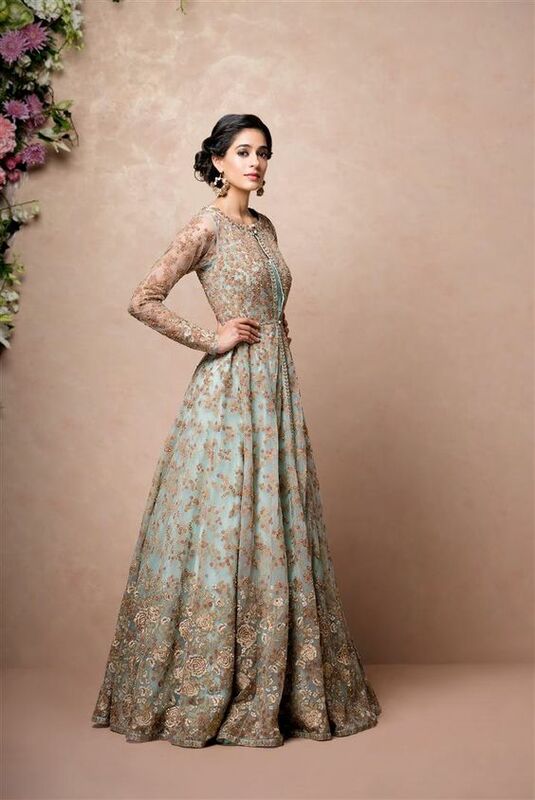 Lehenga dress for your big day will be a significant choice because before wedding days get started you should have an idea that how you look in this dressing technique. 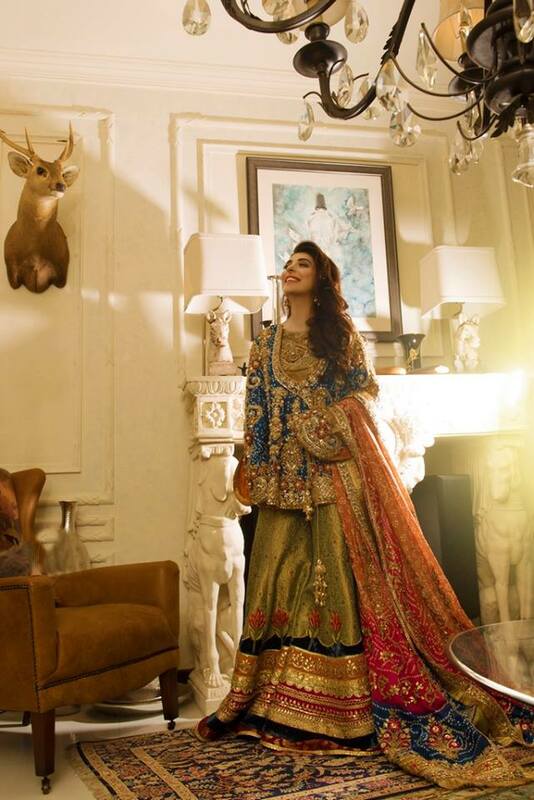 Pakistani designers are always in the urge of delivering the community with distinctive plans and styles. 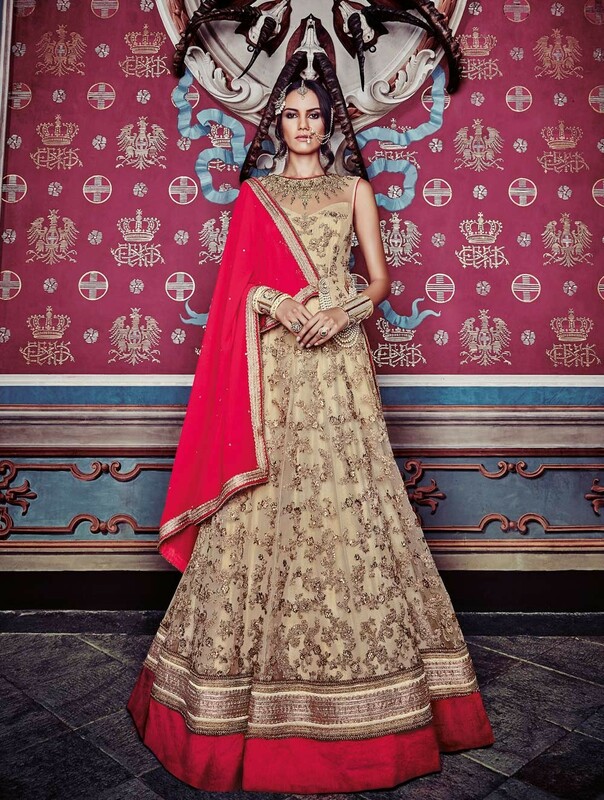 Their Lehenga designs are not only for the bridal wear but also can be adored on certain festivities like engagements, formal parties, Eid-Milan Parties and short gatherings. You can also go for dress stitching styling or wear a long shirt with simple or churidar pajama but it is clearly up to you to choose what to wear on you engagement ceremony. 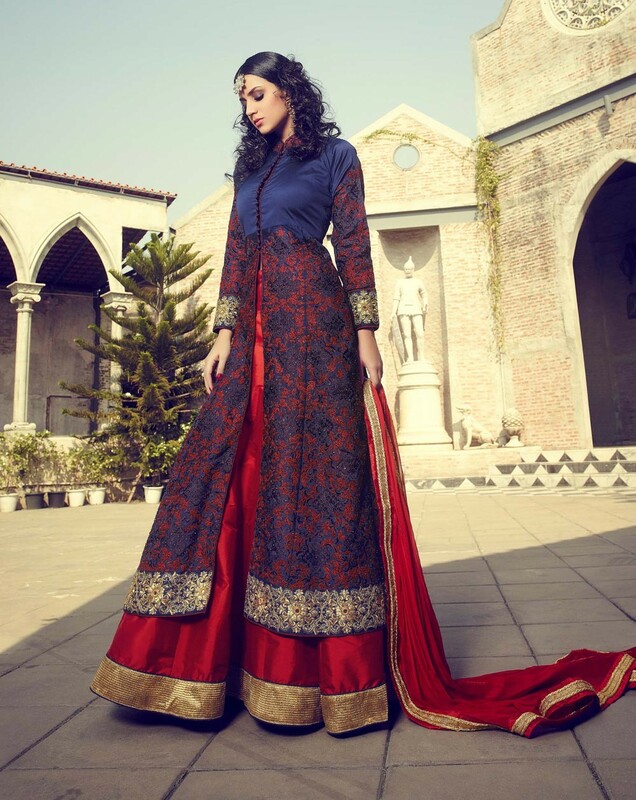 Women who are engaged now can collect ideas about Bridal Barat dresses to save their time. Brides want to look more subtle and yet highlighted in their engagement ceremony, most of them get confused about what she should try. The frock design of any length will be one of the best options to choose from in any vogue shading mixes. Every young lady needs to pick her dress deliberately and remembering the most recent design patterns and be subjective. A percentage of the unmistakable hues found in the engagement dresses are white, blue, pink, purple, red, maroon, orange, yellow, green, fuchsia, peach and so forth. All the designed engagement dresses are woven by keeping in mind all the latest trends of the modern era. Ladies would surely look ravishing in these outfits whatever the conditions or occasions are. So, for now, we have discussed those dresses that are in accordance with the trends and if your engagement is just on the go then you are on the right spot for choosing from these gatherings. 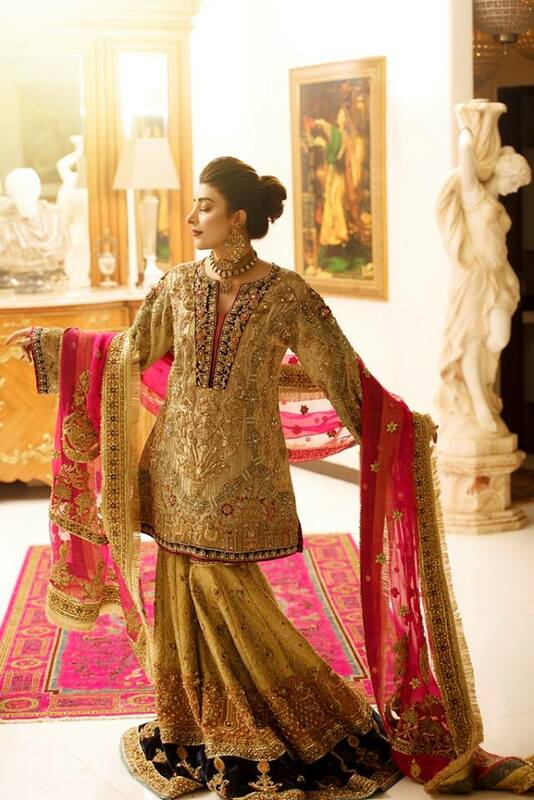 You will surely find beautiful bridal engagement dresses 2019 in Pakistan for your getting engaged day. As for now you are well aware of these outfits and know what type of dress to acquire. Let us know which is your best choice among the collection gathered above for bridal engagement dresses. Dresses with unique styling technique can be adored on this day.